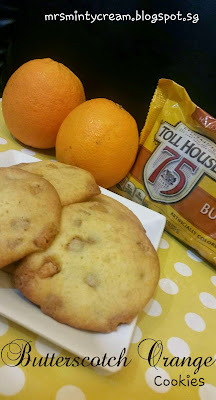 Are you having a craving for something sweet and crunchy and yet you are sick and tired of the regular chocolate chips cookies? If you are feeling just like I do, try these! 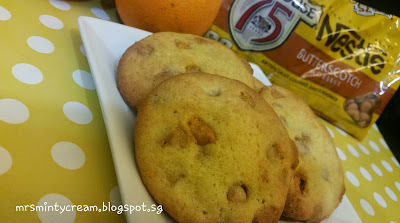 Due to my previous craze in baking any butterscotch related recipes (eg. 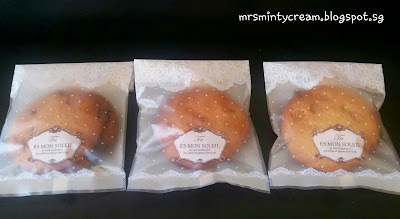 Salted Oatmeal Scotchies with Chocolate Chips & Butterscotch Molten Lava Cake), I have bought these bags and bags of butterscotch morsels, all stocked up in my baking pantry. It has been a long time since I have paid any attention to them. At last, I decided that it was time! Time to turn these pretty little morsels into something crunchy and yummy! 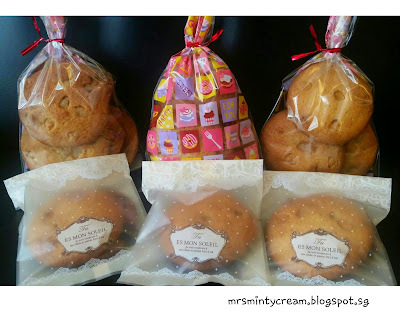 I actually baked 2 batches of these cookies, one batch on Sunday night and the other on Monday morning. 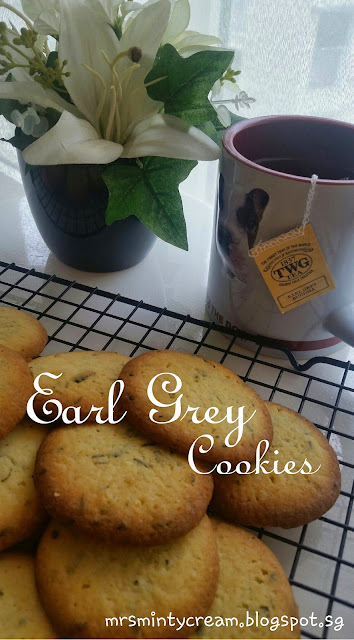 The first batch was baked for 10 minutes (with 2 eggs in the recipe) and it resulted in a soft and chewy texture in the cookies when cooled. 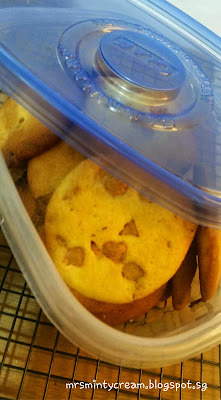 As for the second batch, due to hubby's request for a crunchier version, I baked them for an extra 3 minutes (with only 1 egg in the recipe) and with that, the cookies was slightly firmer yet provide a really good crunch to it. So, depending on your preference, you may vary the baking time accordingly. Just make sure you check on them regularly and do not over baked the cookies. You wouldn't want them to be all bitter and hard, would you? And oh yes, if you would like your cookies to be flat like the Subway version, just follow the recipe below but to use two eggs instead of one. That should do the trick. It works for me! 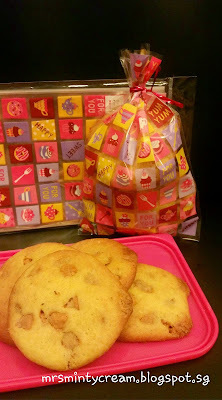 I was pretty pleased with the final texture and taste of the cookies and was definitely more than happy to share them with my friends and students. Am so glad that they enjoyed it as much as I do. 2. Prepare 2 baking sheets, lined with baking paper. Set aside for later use. 3. Sift and combine all the dry ingredients (flour, baking powder, salt). 4. 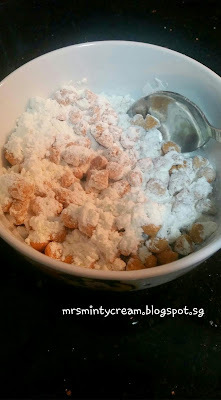 In a small bowl, toss 1/2 cup of butterscotch morsels with 2 tablespoon of flour mixture in Step (3). 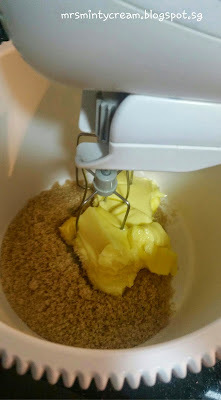 The will ensure that the butterscotch morsels will be evenly distributed throughout the batter. 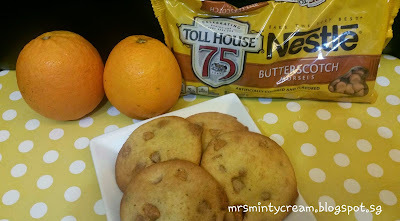 Leave aside the remaining butterscotch morsels to serve as toppings on the cookies later. 5. 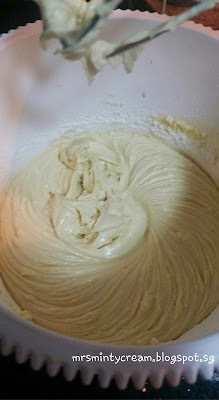 In a mixer bowl, cream together butter with both sugars until creamy. 6. Add in egg, milk, vanilla extract, orange zest and orange juice gradually and beat until smooth. 7. Combine dry ingredients in Step (3) to the wet ingredients in Step (6), one third portion at a time and mix well. 8. Add in butterscotch morsels in Step (4) to the batter. Use a spatula to mix well. Ensure that all the ingredients are well-incorporated. 9. Using a small ice-cream scoop, scope and divide the dough into small portions (ball-shaped). Place them on the baking trays. Ensure that they are at least 3 cm apart from one another. 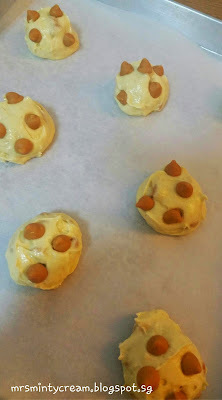 Top each cookie dough portion with several butterscotch morsels. 10. For a soft and chewy texture in the cookies, bake for 10 minutes or until the edges of the cookies start to turn light golden brown. For a crunchier texture in the cookies, bake for an extra 3 minutes. 11. 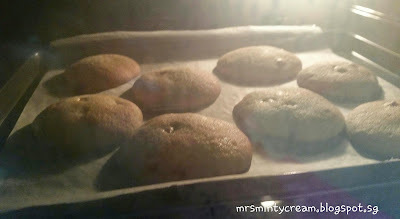 After removing cookies from oven, allows the cookies to cool on the baking trays for 5 minutes before transferring them to a cooling rack to cool completely.